Shirdi Sai Baba Temple Information. Ananda Sai Temple-Chennai-Sai Leela Part 3. Here is another Sai leela from Ananda Sai Temple. Enjoy the divine leela of Baba shared by Sai sister Ashalatha . Those who have missed the first and second leela can read it by clicking at the link provided at the end of this post .Jai Sai Ram . I have shared one of the divine play of our Ananda Sai, Poonthandalam in granting Progeny to Ramananji’s daughter. Sai’s ways are inscrutable as you know…We are all puppets and witnesses in the divine play. May we all dive deep into the ocean of Sai and partake the divine nectar shared by Ramananji. SAI granting progeny to Ramananji’s daughter .The founder of Poonthandalam Sai mandir once cried to SAI pleading,”Baba you know that I just have one daughter and she loves you as I love you, She thinks of you day and night as I do, she is completely devoted to you and she is the one who can take care of the management of this mandir after me. You being Omnipresent and Omniscient can only, grant her with a child. Please bless our family with offspring to carry on your divine seva”. Ananda Sai Temple-Chennai-Sai Leela Part 2. Another beautiful Sai leela from Ananda Sai Temple.Enjoy the divine nector of Baba's leela.Those who missed the first Sai leela published last week can read it by clicking at the link provided at the end of this post .Jai Sai Ram . 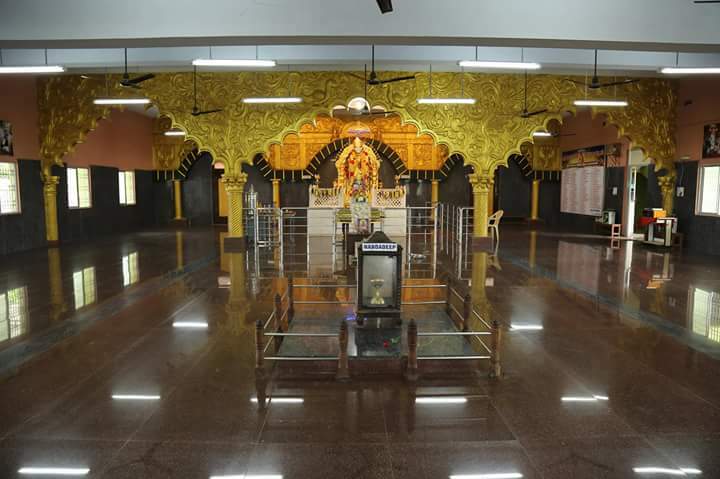 Poonthandalam Sai baba mandir was getting ready for the most important event – “Prathishtapana of Shri SAI Baba pratima”. All the pujas and related homams were being performed. As SAI Pratima is in a bigger form had to be brought with the help of a crane till the entrance of the door, and then with wheeled trolleys Sai was taken closer to the dais, and finally it was the most auspicious time to place SAI in the space allotted. With no hassle SAI reached till the platform, but would not budge even an inch from this spot. Ananda Sai Temple-Chennai-Sai Leela Part 1. Having above message from Sai Satcharitra today clearly indicates of Baba's way of carrying out things as He wishes and reasons only known to Baba why I could not serve Him the way I did. After a long gap in website service with Baba's grace I resume the writing work again .It is a blessing to start the divine work with blessed information about Sai Ananada Temple at Poonathandalam-Chennai.As years rolled by many divine leela's took place in this unique temple,in the life of devotees serving Baba and the devotees who came for His darshan from far and near. 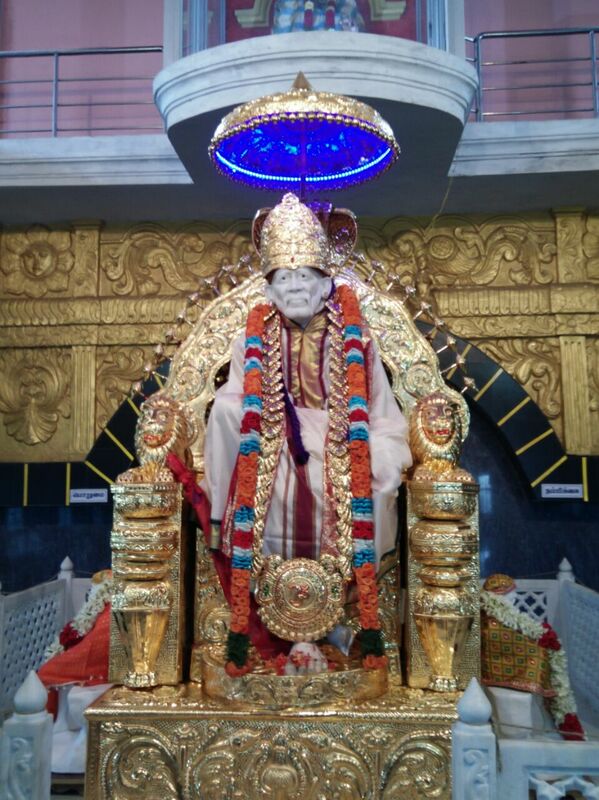 It is pure grace of Sai that we (Sister Asha and I )are blessed to share the nector of this blessed temple through our website .Sister Asha had shared the information few weeks back and with blessing of Baba we could put it in website today .Sai bless us all. Wish You A Very Happy and Sai Blessed MahaShivaratri. My heart and soul is filled with tears of joy, as today being the most auspicious day (Mahashivaratri) our Paramapita is blessing us to do this seva after a very long break through our temple website. My humble prayers to our Sadguru Sai to always bless you and thy’s chosen ankitas to do this kind of divine seva and be in union with the almighty. On 18th Feb 2009 Sai graced upon us to share the leela of Ananda Sai Mandir. During that time the main mandir construction was only at the foundation level and the rest in sketches and plans. 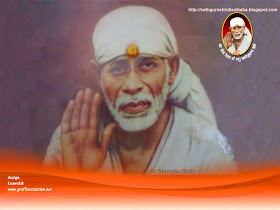 For these many years though the construction of the temple and various other developments had taken place in Poonthandalam, it’s a part of Sai’s divine play that we were not able to post any leelas in connection to that in our website until now. Lo, Sai our Sarvantaryami in no time answered our heartfelt yearning by connecting all the contacts, and blessed me to talk to Ramananji (temple founder). Listening to the amazing Sai leelas my heart was engrossed in it and wanted to share it with you immediately. I would like to request you to update our Shirdi Sai temple website related to Ananada Sai Mandir and enable all the Sai ankitas to enjoy the divine leelas and reap the grace of Sai. 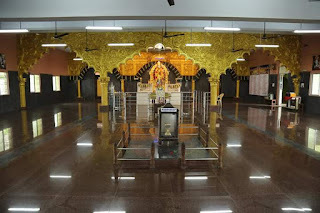 Roopen Agrahara Shirdi Sai Baba Temple-Recent Development. 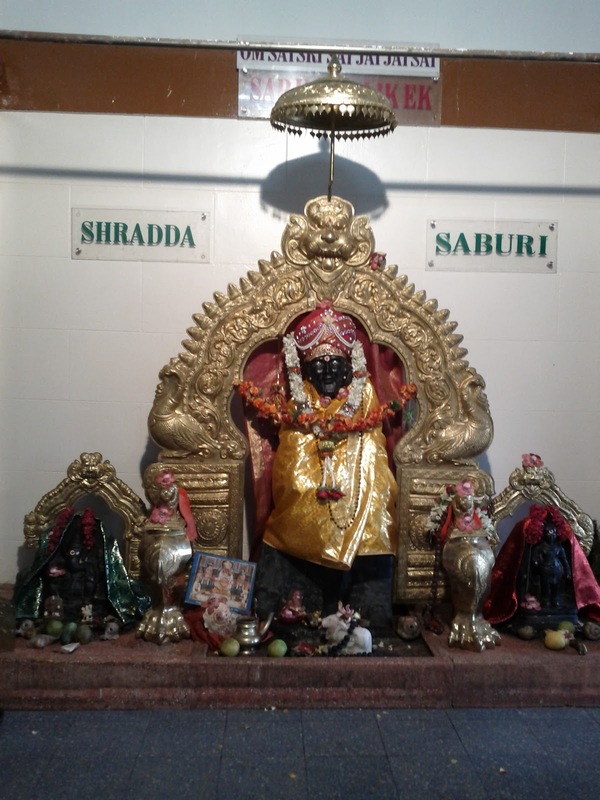 After sharing the experiences of devotees at Roopen Agrahara Shirdi Sai Baba Temple ,today I am sharing the recent developement that has taken place in the sanctum sanatorium "Roopen Agrahara Shirdi Sai Baba Temple". Many devotees have visited the temple after the details of the temple was published in this website and have witnessed Baba's grace .From the time the details have published more changes and developement has taken in the temple .Details of the development in the temple are provided by Shri Rama Rao ji and posted here for one and all.Jai Sai Ram . I am Rama Rao from Bangalore.Hope you and your family are doing well. It is long time since I communicated with you.But you , our web site and the devotees are always in my heart. I could not be very active for the last one and half year . I could not even go to Roopen Agrahara (shivammathayee Baba temple) temple all these months though the priests invited me for all the occasions. Very nice and appreciable service.